And yes, it was in technicolor. 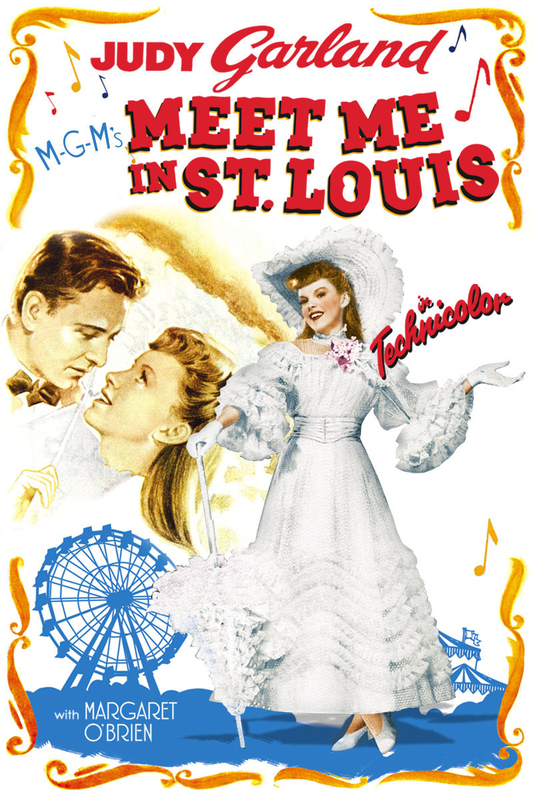 A few weeks ago my mother gave me strict instructions to watch this classic musical ("strict instructions" being "You should really watch Meet Me in St. Louis, it was so good! "), and because I am a good and dutiful daughter [cue laugh track], I picked it up at the library. The music! The costumes! The gorgeous house! I loved it, Caedmon loved it, Adelaide loved it so much that as soon as it ended she watched the "Making Of" special feature also available on the DVD. Atticus declared that not only did he not like it, Daddy wouldn't, either, so there. Whatever, three out of four isn't too bad, and even that cranky fourth absent-mindedly sang the title song for the rest of the day. So there. Why, yes, this is that Call the Midwife, the book upon which the popular television series is based. I've only seen the pilot episode of the show, and decided it was, you know, fine. I say I'm pretty picky about which shows I watch, Derek would most likely say I'm difficult to please; either way, I get bored with tv series easily, and it's rare for me to find one that I can watch beyond a few episodes. I've had approximately one million people tell me how AMAZING this show is, and how I just HAVE to watch it. Now it's my turn: Just whatever on the show, okay, but the book? The book is AMAZING, and you HAVE to read it. They're the real, honest-to-God recollections of a young nurse working with midwifing nuns (I really don't know if "midwifing" is a verb or not, but it certainly should be, don't you think?) in 1950's, post-war, poverty-stricken east London. My mom worked in OB at a hospital toward the beginning of her nursing career, and I remember her saying that it is both the happiest and saddest place to work (along with some really depressing anecdotes that I can share if you ever find yourself in need of a good cry). This memoir agrees with her sentiment: Oh, gosh, the joy and wonder to be found in some of her stories, but likewise the sadness and futility to be found in others. Throughout Ms. Worth shares her emotions at the situations she finds herself in, running the gamut from admiration to disgust. It helps, I think, that she is not a native of Poplar, and as an outsider, describes many things that a local would take for granted. It all makes for a fascinating story, but a word of (rather obvious, I would hope) warning: If you are at all squeamish or uncomfortable with the goings-on involved in childbirth, you are going to find yourself, well, squeamish and uncomfortable while reading many pieces of this account. It's a book about giving birth. Buck up, soldier. There you go: Something to watch this week, and something to read. And farewell to any male readers I might ever have had. There are 3 Call the Midwife books and they are fabulous! I'd seen there were three, but wasn't sure about reading the other two; I've been burned by sequels before. Sounds like I should give them a try! 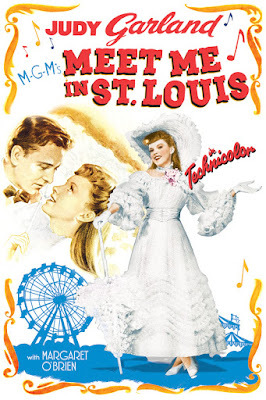 Meet Me in St.Louis is my absolutely favorite movie of all time! Vada can sing The Trolley song by heart. Is this one of those parts of our childhood that didn't overlap? You guys watched it after I left home? I'm definitely going to try to get Vada to sing to me! I also like "In the Good old Summertime" and "Oklahoma". And "Summer Magic", of course. I've never seen that first one, but I can't help but sing "On the Front Porch With You" every time I sit on our front porch. I should force the kids to watch Summer Magic so they can hear what it sounds like when Burl Ives sings it. 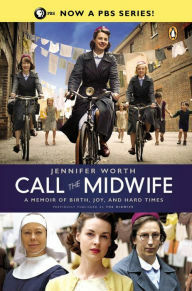 I really enjoyed reading "Call the Midwife." My husband and I enthusiastically watched the series on netflix - as much of it as was available. He calls it "The Pregnancy Show." Sometimes I think it is odd that a man would enjoy the show, but he is a biology major, after all. I keep thinking I should give the show another chance, but I kind of doubt I will. "The Pregnancy Show" somehow sounds scarier than "Call the Midwife." I suppose that's why he's a biologist and not a television producer.